SAN BENITO—Lillian Daphene (French) Mertz, 86, passed away Saturday, October 26, 2013 in Retama Manor Nursing Center in Harlingen, Tx. Lillian was born March 4, 1927 in Sulpher Springs, TX. Lillian Daphene (Bass) Mertz grew up in Troup, TX and lived in Dallas as well as southern California and Granbury, TX. She was married and had one daughter, Sherry Scott; one grandson, Jeffery Scott Bruton; and two great-granddaughters, Natascha and Michaela. She resided with Wilbur French at Fun-n-Sun in San Benito, TX since 1997. She was active in Toys for Tots, and dance hall concession stand. She enjoyed oil painting and crochet. She was also a floral designer. 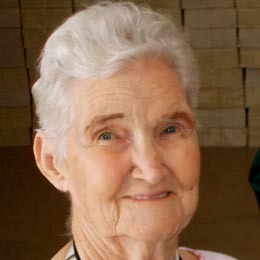 Lillian was a member of Lipan Baptist Church in Lipan, TX, near Granbury, TX. She loved RVing and traveled all over western United States. She was a beloved mom and a very caring caring person. People always commented to her family how friendly and sweet she was. She will be missed very much and will delighted in being with Jesus. Funeral services will be held onTuesday, October 29, 2013 in Heavenly Grace Chapel at 10:00 a.m. Burial will follow in Heavenly Grace Memorial Park. Funeral arrangements are under the direction of Heavenly Grace Funeral Home; (956) 797-5500.